I am West Michell, a novelist and screenwriter. I write stories about strong women and good guys. I love talking and teaching about the creative process. I also love talking about all things vegan, movies, and my adorable cats. Since you stopped by, I’m guessing you may be interested in getting lost in a sea of romance and suspense. If I’m right, then dive into my novel, Under The Veil. Taken from home, stripped of freedom and playing by a whole new set of rules – can Lauren find the courage to save the man she loves and rescue herself from an unbearable future? In this powerful romance, I will take you on a journey of love and courage through the experience of a young woman uprooted from her life and forced into a world of deceit, hatred and misogyny. Refusing to succumb to the darkness around her, the main character finds a light from the past to help her survive the fierce brutality of the present. She finds an unexpected and empowering love in a man who could lose everything and more importantly, she finds the strength within herself to change the future. If you enjoy a powerful romance, then I dare you to read between the lines. Under The Veil delivers action and romance from start to finish. My next novel is set for release in 2019. This fantasy romance will have you seeing stars. Here’s a little scoop… there are four hot guys and a damsel who is distressed but don’t worry – she’ll fix it! In the meantime, check out my ongoing drama West of Winsor. Join the Wynn family as they start a new life with two new college boarders. 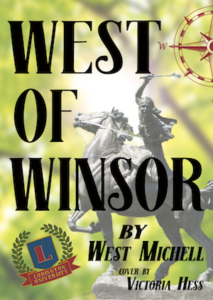 West of Winsor is FREE and ready for you to read today. 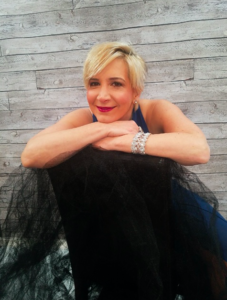 Follow me on social media and I’ll keep you posted on my next book release, West of Winsor uploads, book signings, and other fun events. Keep your light shining my friends! I loved the imagery of the opulent far away land that West Michell uses in Under the Veil. I felt like I was there myself watching the crowds in some of the palace scenes. I found the book to be perfect for my beach get away — perfect “chick flick” in writing. I’m looking forward to reading the next book. Keep up the good work! Also loved the cover work. So excited for your new books! LOVED under the veil!! Enjoyed Under The Veil very much looking forward to the new read(s)! I couldn’t put book Under The Veil down. I couldn’t wait to get to the next chapter. Can’t wait to read the next book she’s going to put out. Keep them coming West Michell. I loved the book!!! Part thriller,part mystery, part romance! I couldn’t put it down!!! The details were so vivid and heartpounding! I can’t wait for the next book! Under the Veil is a very compelling, exciting and thought provoking novel. As fiction it not only encapsulates a romantic thriller but touches on some important real world cultural norms that are eye openers. West has the ability to grip readers’ interests from the first page to the last. 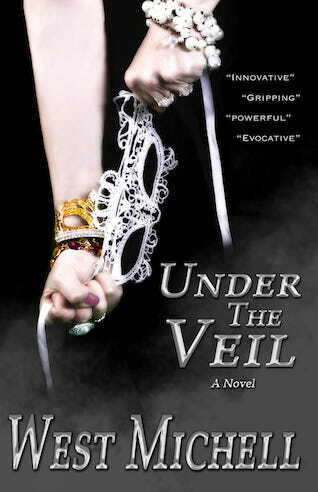 Under the Veil was one of those books I just couldn’t put down. It was very fast paced and riveting from the beginning. Definitely makes you think about real issues in our world. The characters are very well developed and the passion for writing is evident. I’m on my seats’ edge waiting for the next one. Happy reading to everyone who purchases the book.